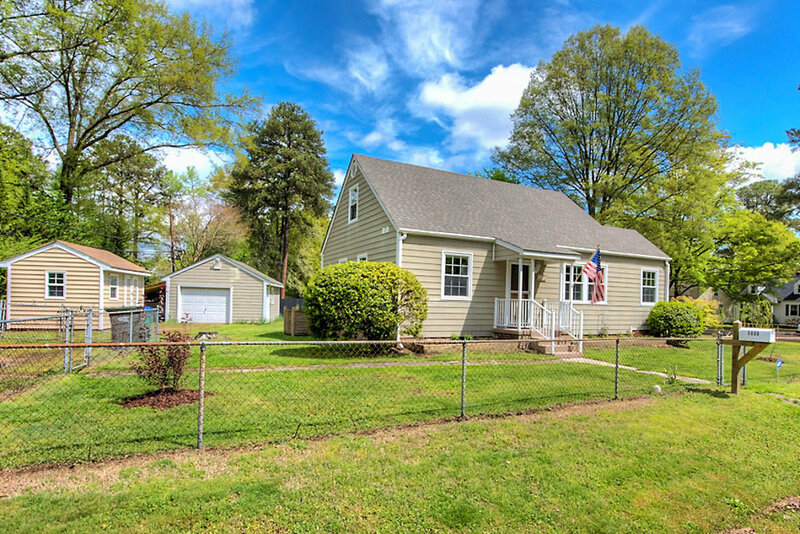 Welcome to your new home in the Westover Hills neighborhood in the Southside of Richmond! Right over the James River to 5600 Bondsor lane and you will find a renovated beauty. This 1420 sq. ft. home has had a complete makeover except for the foundation and frame. Tons of new features and plenty of storage, this darling will welcome you with open arms. Put your dogs up and put your shoes in the built-in shoe shelf entering the foyer because you don't want to get that NEW carpet in your living room dirty! Lots of natural light bathes the large living room with side entrance to the deck. Sit comfortably in your breakfast nook in the newly applianced kitchen. Ceramic tiling, Granite countertops and a built-in spice rack with double doors will make at ease cooking! Down the hall you will find a full bath with tub and two bedrooms with hardwood floors and ceiling fans. Alternatively, it could convert to an office area as well. Come on upstairs, the Master Suite awaits! A cute little nook meets you at the top of the stairs along with walk-in closet and beautiful built-in shelving. Two double door closets, one housing the washer and dryer and the other for storage. Master bathroom includes a walk-in shower with seat, for a relaxing steam! This Master is always lit with natural light coming from the skylight...absolutely comfortable. Let's go out on the deck! A bird sanctuary meets your mornings while you sit on this 2016 built wrap around deck. Beautiful Japanese maples and Forsythia trees adorn the nicely landscaped yard. Don't feel like relaxing? You could always go tinker in your electrically lit garage equipped with AC and shelving. Don't have enough in-house storage? No worries, there's an additional detached shed as well! Close to the major highways, this sweet renovated gem sits in a really nice neighborhood, minutes from the Fan and all its amenities. A great home for a new family, empty nesters, or someone who wants a comfortable and relaxing environment. A place to call home for sure!